Chat + Bingo – could there be a better combination?! 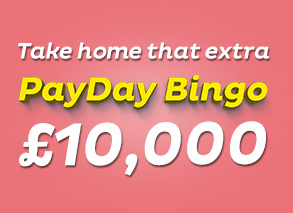 Mingle with real bingo players every day in the Loony bingo chat rooms! You can meet and greet other players and chat while you play bingo online. The Hosts are super friendly and lead exciting bingo chat games where you can boost your winnings with EXTRA coins, real prizes, and crazy bonuses! Chat While You Bingo & Win Real Money! When you play games in the bingo chat rooms, you get extra chances to collect prizes. You can play every day to win prizes that include up to 2,000 FREE coins (which can be converted into real playing money! ), shopping & leisure vouchers, and much more! What’s great is that you can chat when you play on real bingo apps like Loony Bingo! Log in from your mobile device and enjoy the best bingo chat games anywhere!